Youth Housing Project Association Inc. (YHP) provides supported, unsupervised, medium term accommodation to young people aged from 16- 21 years old who are homeless or at-risk of homelessness. Single young people, siblings/family related, couples, pregnant young people and young people with dependants are able to apply for housing. YHP does not offer immediate crisis or emergency accommodation. YHP offers support services designed to assist homeless young people to make the transition to an independent, self-managed lifestyle. In doing so, YHP acknowledges both the structural inequities that lead to homelessness and the hardship and distress that individuals who experience the process of becoming homeless are compelled to endure. Desired outcomes are the product of informed consultation with individual young people. Supported accommodation is provided in the configuration of one and two bedroom units which are furnished with basic necessities. These units are located in various inner northern suburbs. These locations emphasise accessibility to public transport, employment, health, education and Centrelink services as well as access to shopping and recreational facilities. Support services are provided by the Youth Housing Support Workers based at a central office in Albion. Each young person housed and supported by YHP is allocated a key Housing Support Worker who assists and supports them with a range of issues which can include developing greater independent living skills, returning to school, accessing training, seeking employment, coping with emotional trauma from abuse, coping with mental health issues, recovering from substance abuse issues and dealing with legal issues. YHP undertakes all tenancy and property management processes according to the Residential Tenancies Act. 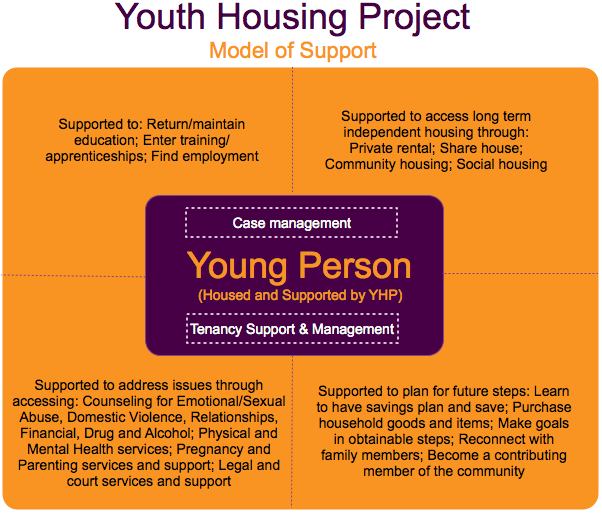 This is so that young people become familiar with these processes when they move on to more permanent accommodation after YHP. A part-time Tenancy Management Worker is employed to manage these duties and works closely with the Housing Support Workers and Manager. We support young people without children and pregnant and/or parenting young people interested in being housed and supported by the service. Young people can be referred to YHP through a number of sources, including friends and other youth services. During a call with YHP brief details are obtained from young people with their consent and young people are informed that a “needs assessment” with a Housing Support Worker needs to be done. It is preferable for this to be a face to face meeting however this can be done over the phone in exceptional circumstances. We encourage you to call at anytime to find out more. The main requirements for young people to be housed and supported with YHP is that they have a basic level of independent living skills and that their support needs are not beyond the capacity of YHP, which is an externally supported independent-living model of service. YHP is about assisting young people in their transition to living independently within a community and the importance of engaging in support with YHP workers is explained to young people. Youth Housing Project Assoc Inc has been providing supported accommodation to young people who are homeless or at-risk of homelessness for over 25 years. 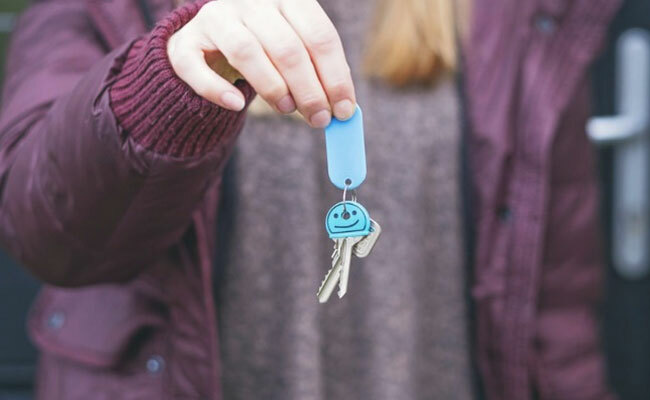 Young people are able to be housed with and supported by YHP for 9 – 12 months – providing stability in housing for young people, as well as stability in their relationships with YHP workers.